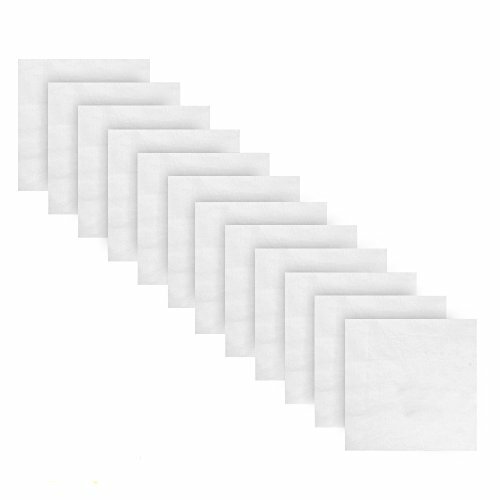 Alotpower Cotton Bandanas 22x22 Solid Color Headwrap Necktie Bandanas for Daily Use Specfication: Material: 100% cotton Size: 22"x22"/55cmx55cm Color:As picture shows. Perfect for show, party favors, home decoration and all kinds of activities. These Novelty Bandanas can be used as hair covering/headband/necktie...can be worn on the face or head, around the neck or arms. There are several different ways to wear them both for functionality and as a fashion accessory. Functions includes: headbands hair covering handbands necktie dust mask bandanas tied on the handbag for decoration gifts wrap cute bandanas for your loved pets Outstanding DIY Notice: New Bandanas will touch stiff, shaped to keep neat before you received, handwash before use, will become soft. Sewn all around, it is cotton, so if there are some threads on the bandanas, just cut off them.If you mind this, please consider other choice. Because of factors such as display pixel, so there may be a little color difference. 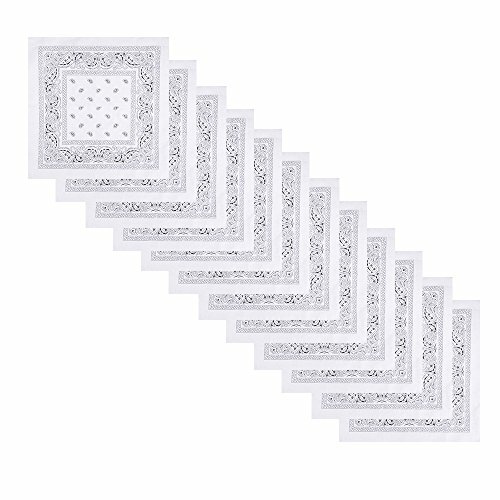 Alotpower Multifunctional Bandanas Square Cowboy Bandanas for Children,Men and WomenMaterial:100% CottonSize:approx 22x22 inches Three kinds of Package for purchase,just choose the best one for you.This is a great variety set of 100% cotton bandana. Unisex. Soft cotton Bandanas, Featuring an Old West design; Perfect for parties, party favors, self-use, schools, or any events.There are several different ways to wear them both for functionality and as a fashion accessory. Functions includes: headbands hair covering handbands necktie dust mask bandanas tied on the handbag for decoration gifts wrap cute bandanas for your loved pets wreath bandanasOutstanding DIYNotice:Handwash recommend before use. Because of factors such as display pixel, so there may be a little color difference. Why Carry a Handkerchief? as environmentalists, they're less wasteful. Think of all the tissues you could keep from throwing away. The handkerchief is to the tissue as the reusable diaper is to Pampers. 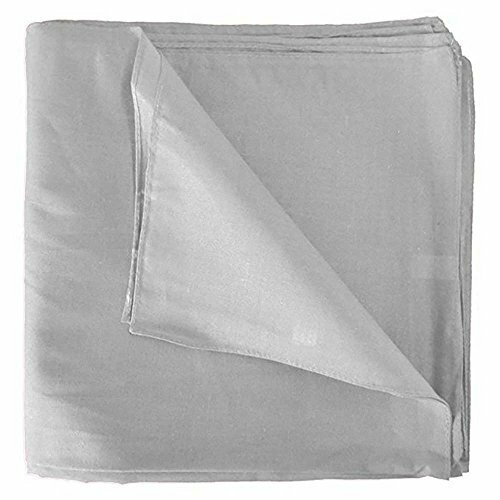 hanky can be carried in the pocket or handbag, and which is intended for personal hygiene purposes such as wiping one's hands or face, or blowing one's nose. A handkerchief is also sometimes used as a purely decorative accessory in a suit pocket, it is then called a pocket square. A good clean hanky can come in handy when you have to dab your forehead, you've got snot running out your nose, or when a gal starts tearing up. Why Choose HANKYTEX? 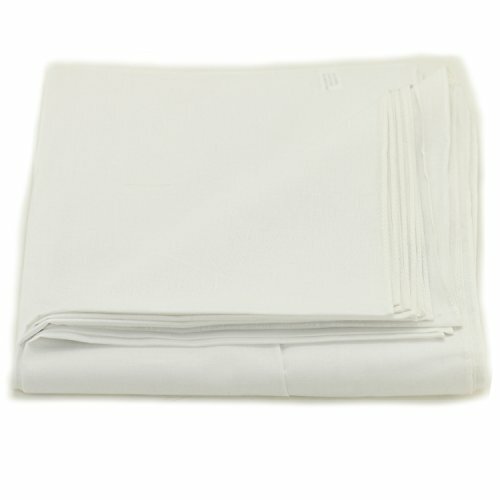 we produce great handkerchiefs for more than 10 years,including woven,satin,printing and embroidery hanky....... Your Satisfaction Is Our Primary Concern,if you have any inquiry or problem, please feel free to contact us at any time,we will try our best to cooperate you! 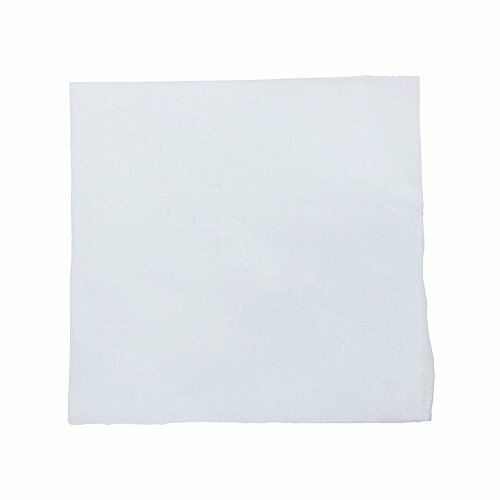 These white solid 22" bandanas are 100% cotton. The bandanas are sewn on all four sides for maximum quality and to avoid shredding or loose threads. They can be worn on the face or head, around the neck or arms, as a headband, neck tie or even a napkin or pocket square. This unisex bandana is a terrific accessory for sports, the gym or yoga and dance class. Great for parties, decorations, clubs, youth groups, and games. It comes along with a classic authentic adjustable biker bandana du rag wonderful for men, woman and children. Du rag colors may vary. Perfect for everyday use and they make an excellent party favor for a western themed party. You will love it! Nothing is more versatile than the bandana! You can use them for arts and crafts projects like lining a basket or stitching a quilt, as sports team colors (great for Capture the Flag), as reusable, environmentally friendly hankies and dust masks, for light house cleaning, to carry supplies when camping, as an easy to carry and store seat cover for dirty or cold/hot stadium seats or for on the bleachers like at baseball games, and even as ice packs on hot summer days or to ice a child's scraped knees. They can even be used as personal adornments, like hair ties or hair coverings to keep you warm or cool in extreme temperatures, as a sweatband for exercise or hard work like construction and moving, and even as a fabric napkin at barbecues and cookouts. 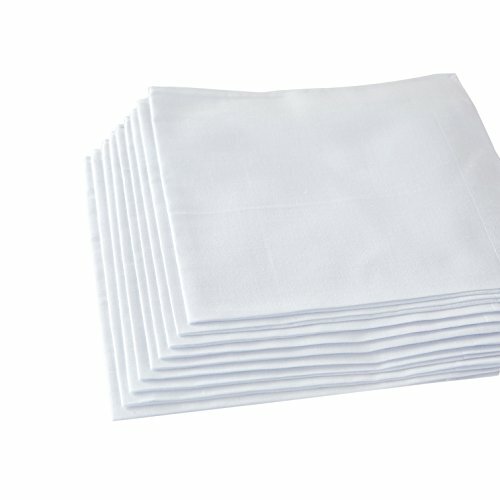 (They're much more classy than a paper towel, but won't stain like a white cloth napkin!) Choose from our multi-use 12-packs of the color(s) of your choice, and see just how many great uses they come in handy for. 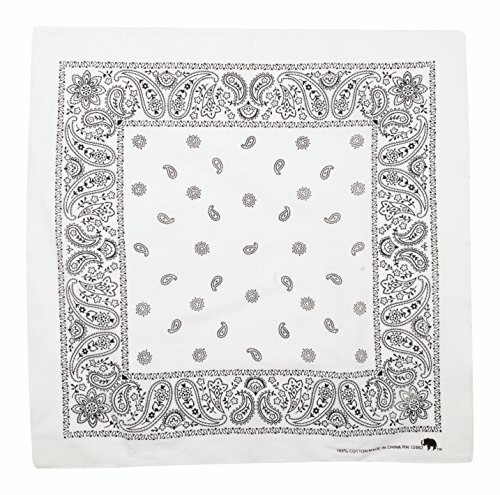 Looking for more White Cotton Bandana similar ideas? Try to explore these searches: Plaid Boat Shoes, Duraflex b2 Kit, and Alder Oak Cabinet. Look at latest related video about White Cotton Bandana. Shopwizion.com is the smartest way for online shopping: compare prices of leading online shops for best deals around the web. 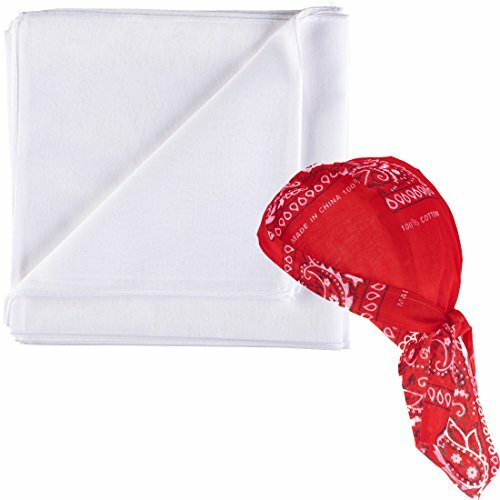 Don't miss TOP White Cotton Bandana deals, updated daily.